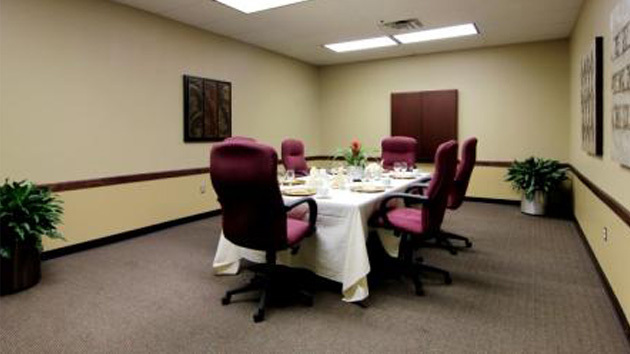 The Power Center is the ideal location for conferences, seminars, workshops, classes and meetings for professionals, students and the community. Schedule your next event The Power Center and use the professional services of our on-site catering and a full complement of audio-visual equipment, your next event will be a hit! Use a Fishing Tackle Box for a Supply Kit… Purchase a fishing tackle box and put any miscellaneous items you would need for your meeting (pens, stapler/staples, paperclips, box cutter, scissors, Velcro, batteries, sewing kit, emergency kit etc.) and emergency kit. Everything is organized and in one spot to help save time when needed. Make sure you have a list of contents and restock the tackle box when you return home before you find yourself at the next meeting and something is missing. Get a clear understanding of the purpose of your event. For birthdays and anniversaries the purpose is fairly obvious. But events for work or social organizations probably need a little more definition. Make sure you know why there will be an event and the anticipated outcome. Plan ahead. Make up a plan early in the process of organizing an event and stick to it. Have several back up plans in case your original idea just won’t work with the budget or timing. Never assume everything will work itself out. Go over all details at least twice and make checklists to help keep you on track. Pick sponsors and the members of the honor court with your daughter. Your daughter should pick seven girls and seven boys to be on her honor court. Ask the people you pick well in advance of the event–even up to a year–in case they turn you down. When you host an event that has lots of kids and families, it’s important to keep their needs in mind. Consider having an activity table with some simple crafts and coloring pages for any younger kids. Give yourself a contingency fund. Depending on the size or complexity of an event, you may want to give yourself as much as up to 20% of the event budget here. Despite the best planning, charges are going to exceed projected plans with expenses that you never consider. This will keep you from going over budget every time. Visit the venue the day before your event. Envision how you want attendees to experience the event. What signs need to be in place to avoid confusion? Where should you station staff? Basically, you want to understand what your guests will see from the time they walk into the venue to the registration table to the actual event. Feel matters. And the only way to anticipate how your event will feel is to walk a mile in your guests’ shoes. Besides networking, topics and speakers are the main reasons to attend a conference. It is important for the success of your conference to organize well-known speakers at an early stage. Famous speaker always help to gain more attention and attract more attendees. Big names are not only crowd puller but also help to obtain more well-known speakers. For this reason event managers shouldn’t underrate the importance of this part. Pretend that the party starts at least 30 minutes before it actually does so that everything is ready a little early, then take a few minutes relax, enjoy a glass of wine, and let yourself be a “guest” for a bit. One of the most important elements to any party is a charming host/hostess, so if you’re relaxed and happy when you start greeting your guests, they’ll take a cue from you and it will be a great start to the night for everyone!